Dear Pearl Vintage is home to a range of genuine vintage fashion, jewellery, homewares and ephemera, and no gal in her right mind would dare leave the shop with at least looking at the newly arrived dresses. Popping with colour, swirling with fun, and bursting with overall beauty, Dear Pearl’s Summer vintage dresses are alive with vibrant energy. The vintage-inspired fashion at Gypsett combines eye-catching flair with practical styling and quality craftsmanship, featuring a lineup of notable labels from which to choose. You certainly can’t go wrong choosing from the collection of newly arrived spring and summer tops, especially if it’s a strapless tube top graced with a playing koi design. High-quality vintage clothing and accessories are always on hand at Vintage Seeker, and you'll find a unique collection ready for your spring and summer festivities. Vintage scarves need to go at the top of the shopping list, with the power to add a flash of colour and style to any outfit. The little summer dresses also deserve a mention, and fast, as they’re rapidly flying out the door. Delightful jewellery, including antique silver, diamonds and gold, are one of the many claims to fame of Kaotica, and the newly arrived pieces do not disappoint. 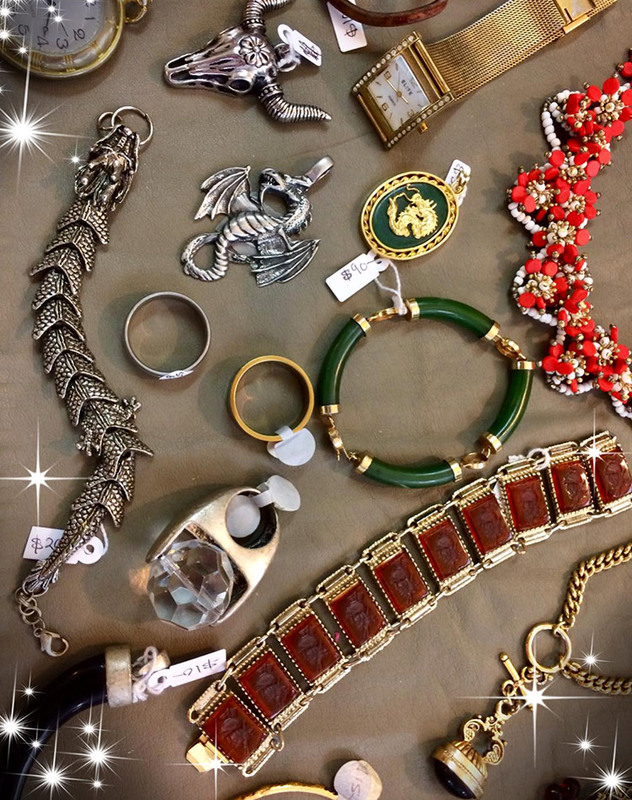 Go for a fabulously fun vintage necklace to pair with your vintage spring frock, or opt for a vintage gold piece that promises to glint brilliantly in the summertime sun. Don't miss out on the vintage new arrivals that are waiting for you now at Oceana Walk. For vintage fashion lovers, spring means one big thing: new arrivals at Oceana Walk Arcade. Several sensational shops specialise in vintage and vintage-inspired fashion, and all are stocked with newly arrived items for the season.